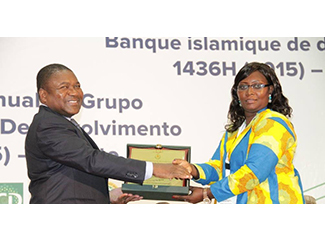 On June 10, the Islamic Development Bank (IDB) recognized ADPP Guinea Bissau during the 10th Edition of the Prize for Women´s Contribution to Development – Women’s Contribution to Water Resources Management - that took place in Maputo, Mozambique. 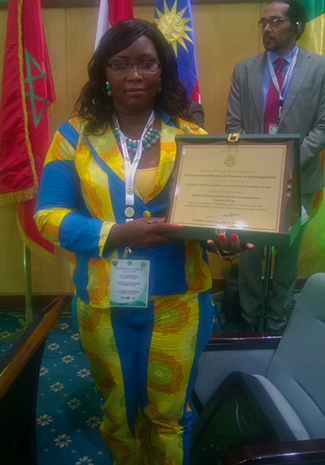 The IDB has granted an award ADPP-Guinea-Bissau, Humana's local partner in this country, for his work in the field of women in the management of water resources, essential in areas such as maternal nad infant mortality, health, hygiene, health, irrigation, or conflict management. The IDB and recognizes the work of ADPP over the past 30 years, through initiatives such as courses installation and maintenance of water pumps Vocational School Bissora or awareness campaigns and training for the prevention of diseases generated by the misuse of water launched by 120 clubs, led by women. IDB also praised the work of the committees for water management project of renewable energy in agriculture Bissora. 18 out of 24 of these committees are headed by women. It has also taken account of its role in conflict management because of the available water resources among the local population and refugees from Senegal. Humana Fundación Pueblo para Pueblo participates or has participated directly in three of ADPP projects that the Bank has taken into account. Raquel Nhaga, ADPP project leader, was responsible for collecting the distinction, from the President of the Republic of Mozambique, Filipe Jacinto Nysui, at an event organized on June 10, attended by 700 people from 56 countries. ADPP was awarded with a prize of honor and donation of US$ 50,000 that will strengthen its work in the field of gender empowerment and contributing to gender equality in rural communities of Guinea-Bissau.